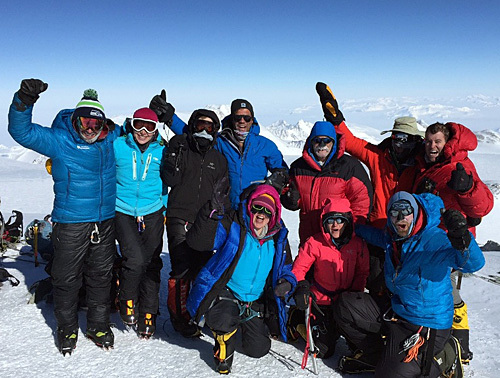 April 2015  Leavenworth mountaineer-physician in Nepal disaster zone: story of IMG guide and medical doctor Emily Johnston who was guiding on Everest when the earthquake struck. 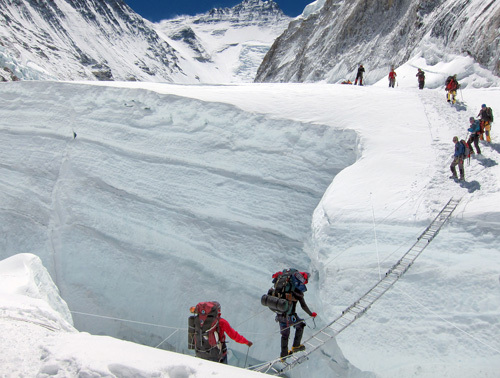 June 2013  Story of the conflict between European climbers and Sherpas on Everest. IMG's Eric Simonson and Mike Hamill are quoted. May 2013  Congrats to Vanessa O'Brien for her Explorer's Grand Slam. It is a tremendous accomplishment which took a lot of hard work and dedication. We are especially proud because Vanessa is a veteran of many IMG trips (Ouray Ice climbing, Mt. Rainier via the Kautz route, Cho Oyu, Shishapangma, Everest, Elbrus, Vinson, Last Degree to South Pole, Aconcagua). Way to go, Vanessa! May 2013  Saudi prince Bandar bin Khalid bin Fahd, who climbed Everest with IMG in 2012, is honored for becoming the first Saudi Arabian to climb the Seven Summits. Apr 2013  IMG climber, Vanessa O'Brien, on Wake Up with Al discusses becoming the first woman to achieve the Explorer's Grand Slam (climbing the Seven Summits and reaching both poles) in less than a year. December 2012  IMG Partner (and director of ski patrol for Crystal Mountain) Paul Baugher and his avalanche-trained dog, Newman, save a buried skier. September 2012  IMG guide Eric Remza profiled in his hometown newspaper in upstate NY. May 2012  IMG partner Eric Simonson comments on the guide service Himalayan Experience's decision to leave Everest mid-season. A Himalayan Experience client discusses the expedition. Jan 2012  IMG partner, Paul Baugher, who is also the head of ski patrol on Crystal Mountain, discusses the danger that rescuers face when searching for lost climbers on Rainier. 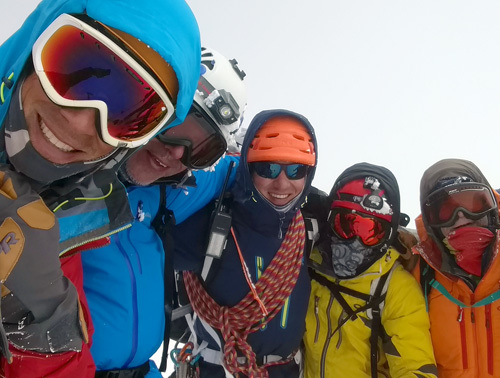 Aug 2011  Story of IMG Climber Jeff Gottfurcht: "Climbing Everest: Despite rheumatoid arthritis, Los Altos resident scales summit"
May 2011  Rainier's Reigning Champ: George Dunn, co-owner of IMG, recalls personal adventures and gives tips about climbing Mt. Rainier. 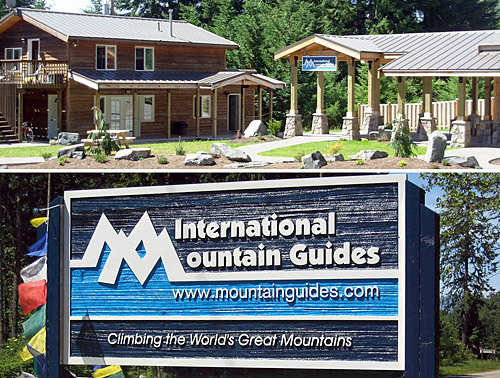 May 2011  Spring means the launch of another climbing season on Mt. Rainier! Apr 2011  IMG Partner and Director of Ski Patrol at Crystal Mountain, WA, Paul Baugher, is featured in this news video about Crystal's aerial approach to avalanche control. Mar 2011  Spanish language news site "Diario Libre" features the 2011 Dominican Everest Expedition which is supported by IMG. December 2010  Mountain Guiding makes the list of "The World's Most Dangerous Jobs"
August 15, 2010  IMG Guide Jason Edwards and climbing partner, Phil Nicoletti, made a one-day climb of Rainier's Liberty Ridge Route... 25 years after his first one-day climb of the route. August 12, 2010  George Dunn's "The Top 10 Climbing Gear Tips"
January 2010  IMG climber and NASA astronaut, Scott Parazynski, sends an Everest summit rock to go along with moon rocks to the International Space Station. July 30, 2008  On July 12, IMG client Randall Nordfors biked from the Puget Sound to Paradise, summitted Rainier in under 12 hours and made the round-trip bike ride in under 20 hours. 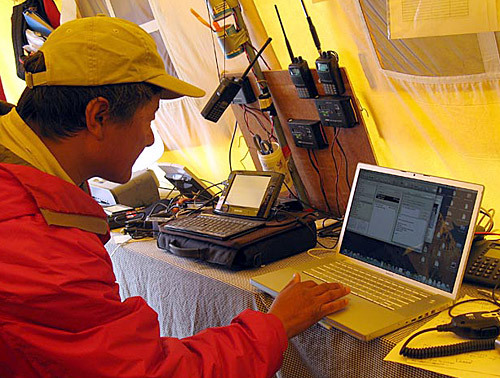 May 29, 2008  Seeds Make Everest Summit! IMG guide Justin Merle helps school kids achieve a Guinness World Record! February, 2008  See a climber's photo gallery of the Ecuador Volcanoes with IMG as the recommended guide service. January 20, 2008  New York Times account of a Kilimanjaro climb with IMG. November 2007  Expedition of a lifetime... a few G's. Enough ziplocks to keep everything dry... $20. Overcoming weather, altitude and self-doubt to spend your birthday on top of Africa... Priceless. July 2007  Justin Merle is IMG's newest member of the Mt. Rainier Century Club, with his 100th successful summit. Justin has been guiding for 9 years and has led many IMG trips in Alaska, South America, Antarctica, and the Himalayas. It is great to see him back guiding on Rainier this summer. Way to go, Justin! June 20, 2007  Together on Top of the World: Tale of first couple of summits. Book review of Phil and Susan Ershlers book. May 25, 2007  The story of the difficult rescue IMG guides Hahn, Grom, Haugen and Phinjo Sherpa executed on their descent from the summit of Everest. May 2007  IMG's 2007 Everest expedition saw and all time high of 37 summiters climb and descend Mount Everest safely. December 28, 2006  IMG guide Jason Edwards in "Heroes and legends: South Sound adventurers make history in 2006"
July 13, 2006  300 trips to Mount Rainier's summit put climber in rare air: IMG Guide Jason Edwards becomes 6th person to summit Rainier for 300th time. 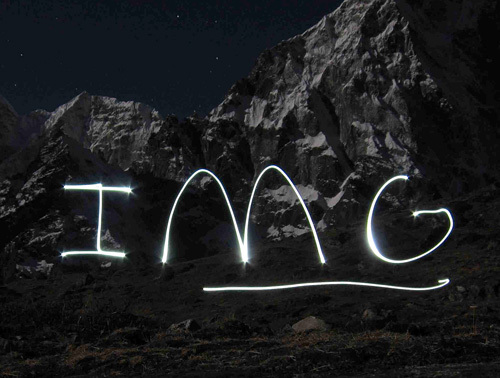 IMG Directors George Dunn and Phil Ershler hold over 400 summits each. June 28, 2006  Eric Simonson participated in a worldwide broadcast and took calls from prospective Everest climbers around the world. 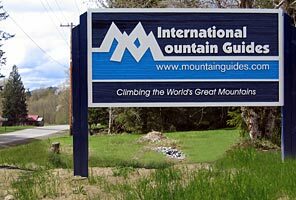 May 25, 2006  "In one of the most successful expeditions in Everest history, IMG put 30 of 40 members of its expedition on the summit and made history along the way..."
May 2006  In another safe and successful Himalayan expedition, IMG puts an all-time high of 30 climbers on the summit of Mount Everest. Fall 2005  IMG's George Dunn, Eric Simonson and Anne Keller donate their time to lead a group of executives up Rainier. 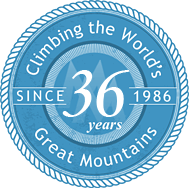 The climb raised over $25,000 for the National Park Fund. September 8, 2004  Mountain guide climbs into Rainier record book: IMG Director George Dunn holds the record for Mount Rainier summits. May 2002  IMG's 2002 Everest season put ten climbers on the summit including IMG Director Phil Ershler and his wife Susan who become the first couple to climb all seven summits. 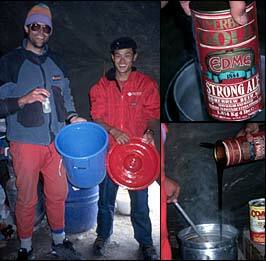 Summer 1996  With a little help from the brew masters of Forty Below and their multi-purpose mountaineering gear, an IMG Cho Oyu team experiments with brewing up some High Altitude Ale.